While U.S.-North Korean contact is stalled, relations between North Korea and South Korea continue to increase. 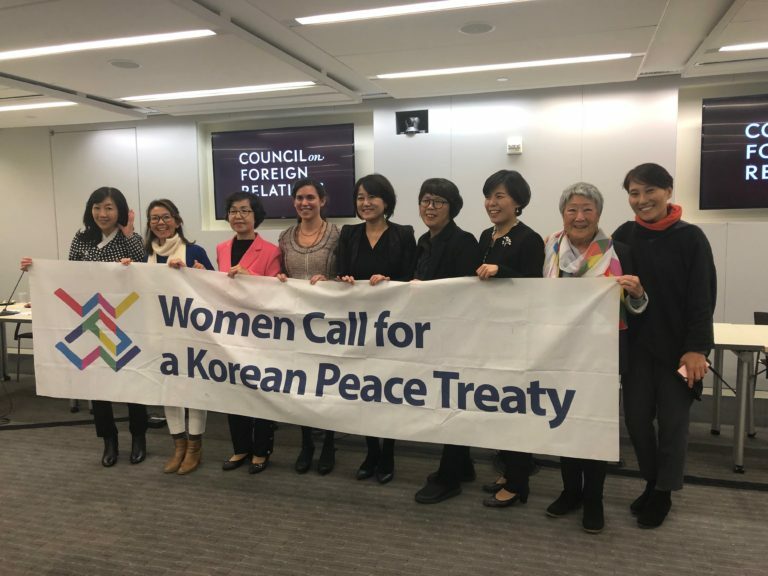 Encouraging worldwide support for a peace agreement for the Korean peninsula, a consortium of four international women's groups launched Korea Peace Now, a worldwide campaign for peace on the Korean peninsula, during the United Nations' Commission on the Status of Women, the week of March 10, 2019. 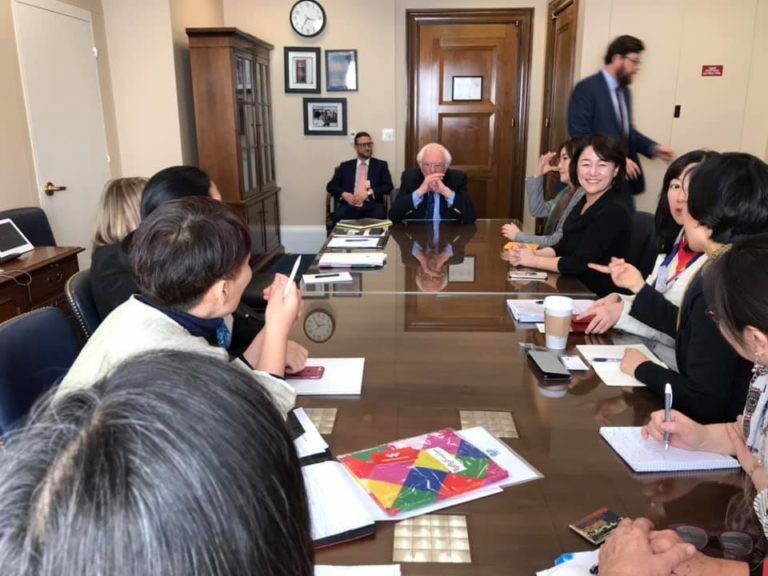 With launch events in Washington, DC and New York City, representatives of Women Cross DMZ, Nobel Women's Initiative, Women's International League for Peace and Freedom and the Korean Women's Movement for Peace hosted three women Parliamentarians from the South Korean National Assembly. 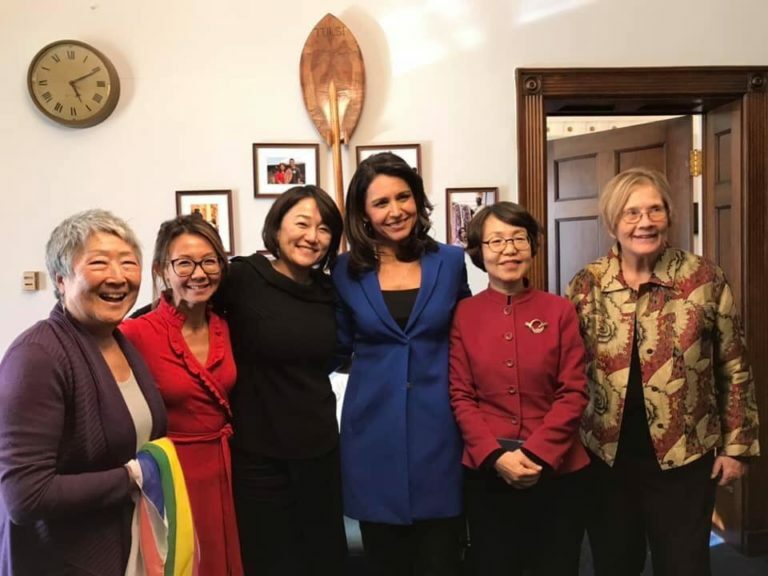 The South Korean women legislators spoke with many U.S. Congresswomen and men about supporting South Korean government initiatives for peace on the Korean peninsula and, although not said directly, encouraging the Trump administration to not hinder South Korean efforts for peace. South Korean National Assembly leader Kwon Mi-Hyuk, one of three women Parliamentarians who spoke with various members of the U.S. Congress, with academics and think tankers at the Council on Foreign Relations and with the U.S. public at various events, said that she has been perplexed that U.S. Congresspersons and U.S. citizens have little knowledge of the important changes that have taken place between North and South Korea in the past year since the first summit between South Korean President Moon Jae-In and North Korean leader Kim Jung Un on April 27, 2018 in the Joint Security Area at the DMZ. She added that 80 million Koreans on the Korean peninsula, in both North Korea and South Korea, are depending on the cooperation of the United States, North Korea and South Korea to finally bring an end to the 70-year-old hostilities. 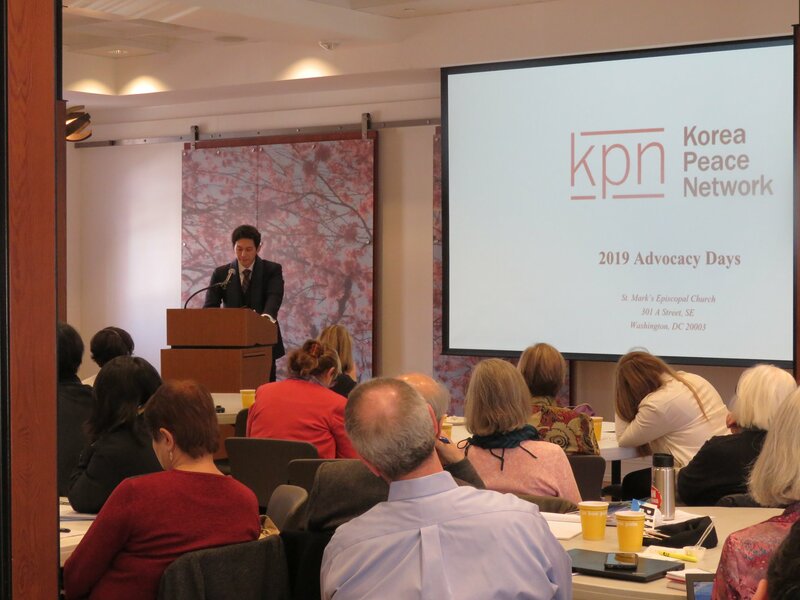 During the same week, the U.S. based Korea Peace Network held its annual Korea Advocacy Days March 13-14 in Washington, D.C. Speakers at the conference from all political alignments consistently said that peace on the Korean Peninsula is the only rational outcome of meetings between North Korea and South Korea, North Korea and the United States and the continuous meetings between the US and South Korea. In 2018, North and South Korean government officials met 38 times in addition to the three summits between President Moon and Chairman Kim Jung Un. Dismantlement of some of the sentry towers in the DMZ and demining of part of the DMZ occurred in 2018. Liaison offices between North and South Korea have been established. Train tracks linking South Korea and North Korea have been closely inspected which will ultimately link South Korea with Europe by opening the train links through North Korea and China to Central Asia and Europe. Parliamentarian Kwon said that the South Korean and North Korean governments hope to be able to reopen the Kaesong Industrial complex in North Korea which will restart the remarkable economic project halted in 2014 by the conservative South Korean Park Geun-hye administration. The park is located six miles north of the DMZ, an hour's drive from the South Korean capital Seoul and has direct road and rail access to South Korea. In 2013, 123 South Korean companies in the Kaesong Industrial complex employed approximately 53,000 North Korean workers and 800 South Korean staff. According to Kim Young Soon of the Korea Women's Associations United said that there were three meetings between civil society groups in South Korea and North Korea in 2018. Civil society in South Korea strongly supports reconciliation with North Korea. In a recent poll, 95 percent of young people of South Korea are in favor of dialogue with North Korea. Nobel Peace Laureate Jodie Williams spoke of going to the DMZ many times in the 1990s as a part of the Ban Land Mines campaign work. She reminded us that the United States is one of the few countries that refused to sign the Landmine Treaty, claiming that landmines were needed to protect U.S. and South Korean military in the DMZ. She said that she had returned to the DMZ in December 2018 and spoke with South Korean soldiers who were dismantling the sentry posts in the DMZ and were taking out landmines as a part of the cooperative agreements between North and South Korea. Williams said that one soldier told her, "I went to the DMZ with hate in my heart, but the more we interacted with North Korea soldiers, the hate went away." I thought of the North Korea soldiers as my enemy, but now that I have met them and talked with them, they are not my enemy, they are my friends. We as Korean brothers just want peace, not war. 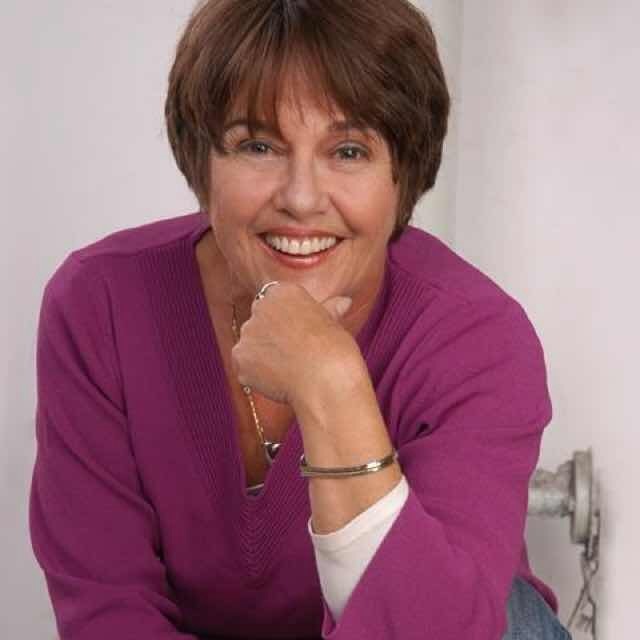 Echoing the theme of women, peace and security, Williams added, "When only men lead peace processes, the main issues that are addressed are guns and nukes, neglecting root causes of conflict. Guns and nukes are important to address, but this is why we need women at the center of peace processes to discuss the impact of wars on women and children." It actually is the US that has put the damper on Korea. North and South Korea want a united country. I wish Our Bully of the World would start minding it's own business. The US constitutes roughly 40% of the world's military expenditures. We have around 800 military bases outside the US. Bravo! An excellent article! It provides a good, clear summary of the major events that have taken place in recent years, and also gives a cautious but optimistic outlook for the future of that relationship. I hope that the two Koreas now stop waiting for a breakthrough between North Korea and the US, and for a top to bottom thaw in their relationship. Instead, the two Koreas can now take the bold initiative and reach and declare a peace treaty between themselves, and proceed for the future of their relation on that basis. If South Korea actually does that, I wonder just how feasible it will be for the US to oppose such development. The US will have to publicly urge South Korea to stay in hostile relationship and go to war with the North, when the North and South Korea both say that they want peace. I think it will be mighty difficult for any government, no matter how mighty its military power, to take such stance in international politics because it will undermine its moral authority completely. 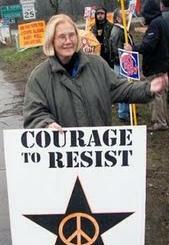 Moral authority is one thing that might be more powerful than the nuclear weapons.